Photo charters are wonderful opportunities to get quality video footage of working steam. In this production we present two unique locomotives each performing along beautiful rivers. Steam on the Durbin & Greenbrier Valley Railroad features Climax #3 operating on a former C&O line that follows the Greenbrier River in West Virginia. The railroad is owned by the West Virginia State Rail Authority, but is operated by privately-owned Durbin & Greenbriar Valley. This railroad hosts four different excursion trains over various portions of the line, and provides freight service for on-line customers using diesel power. The charter was organized by the non-profit Mountain State Railroad & Logging Historical Association, which also supports the nearby Cass Scenic Railroad State Park. Moore-Keppel & Company #3 is a 55 ton Climax geared locomotive that was constructed in 1910. Although Climax locomotives were not as widely used as the more popular Shay, there were over 140 of them working in West Virginia alone during the height of the logging era. The Delaware River Rambler charter took place on the Belvidere & Delaware River Railway (the Bel-Del), which is a freight carrier between Milford and Phillipsburg, New Jersey. The 16 miles of track follows the Delaware River. The non-profit New York Susquehanna & Western Technical & Historical Society began operating trains here in 2004 in partnership with Delaware River Railroad Excursions. Number 142 has been cosmetically changed with details found on American steam locomotives, and does not look at all like a modern engine built in China in 1989, originally for the Knox & Kane Railroad in Pennsylvania. It is a class SY with a 2-8-2 wheel arrangement. Over 1800 of these were built between 1960 and 1999, with many still operating in China. After several ownership changes since coming to America, #142 looks right at home here. Our footage was captured with multiple tripod-mounted HD cameras. Running time approximately 43 minutes. The DVD is conveniently organized by chapters, with minimal narration. This Yard Goat Images EXPRESS DVD is shorter and specially priced. Order your copy today! 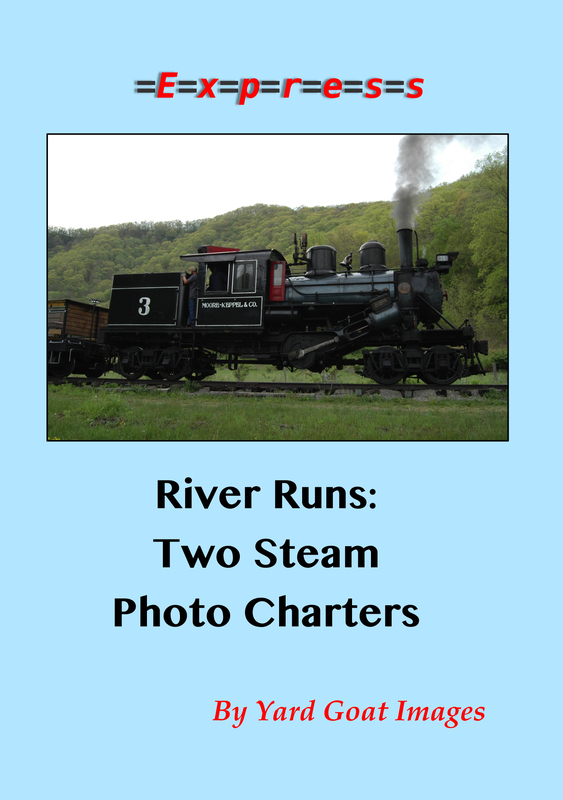 Preview - River Runs: Two Steam Photo Charters from Yard Goat Images on Vimeo.